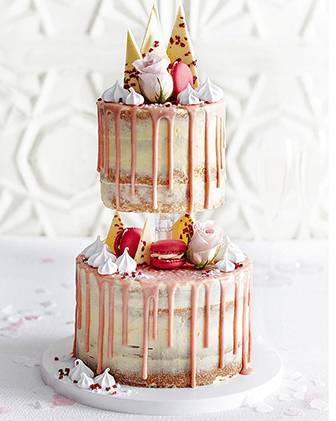 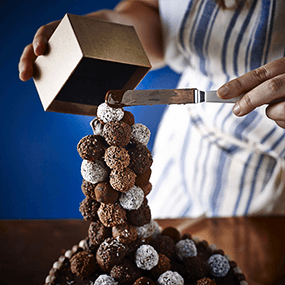 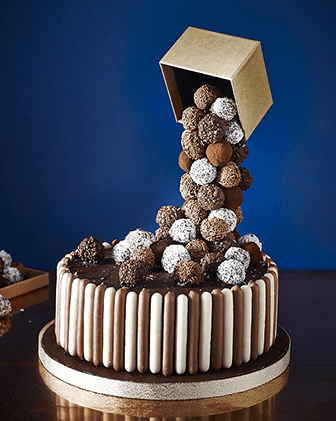 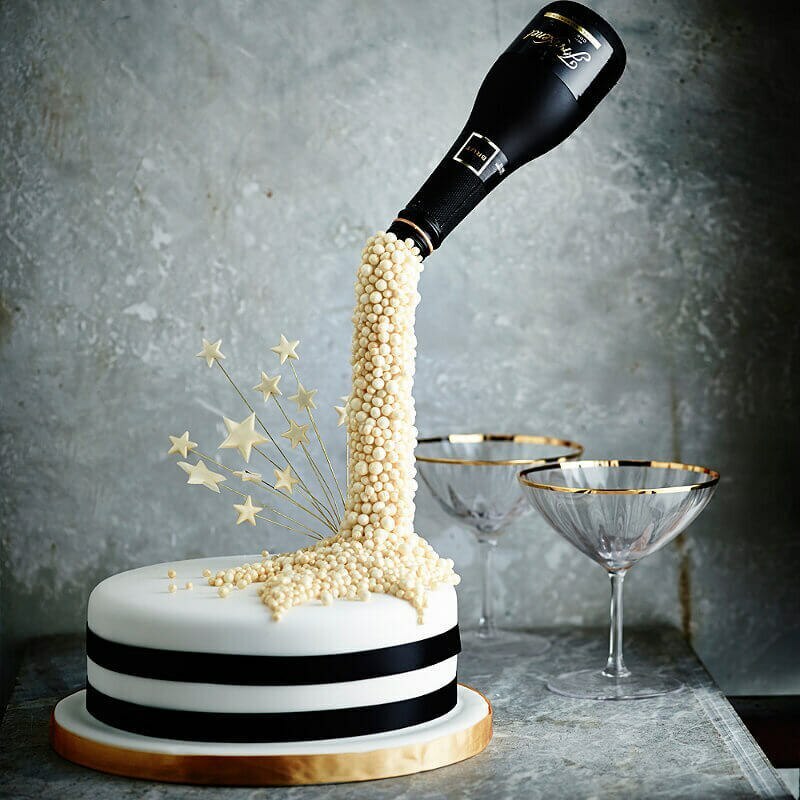 Build up a gravity defying cascade of truffles or a stream of sweets, all suspended as if by magic in mid-air. 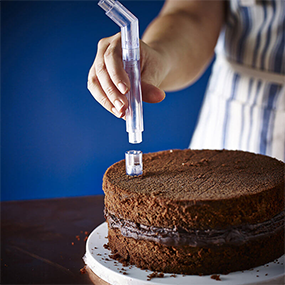 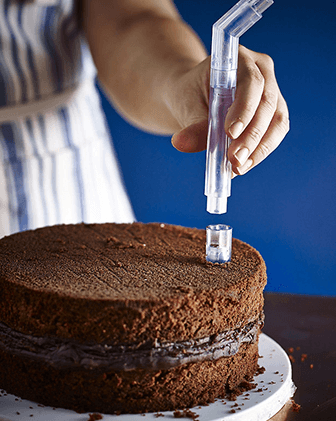 The easy to assemble Lakeland Anti-Gravity Pouring Cake Kit supports a variety of heights and angles giving you the creative freedom. 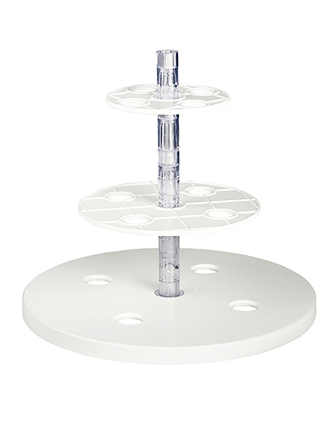 The kit includes a base plate, two supporting rods and corner piece – all of which don’t look very impressive in themselves, but the results they help you attain certainly will be. 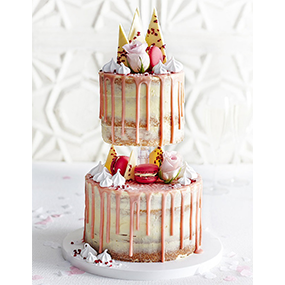 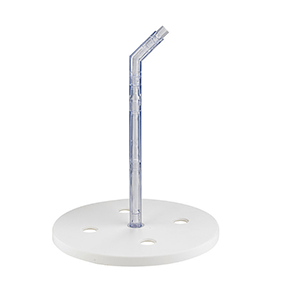 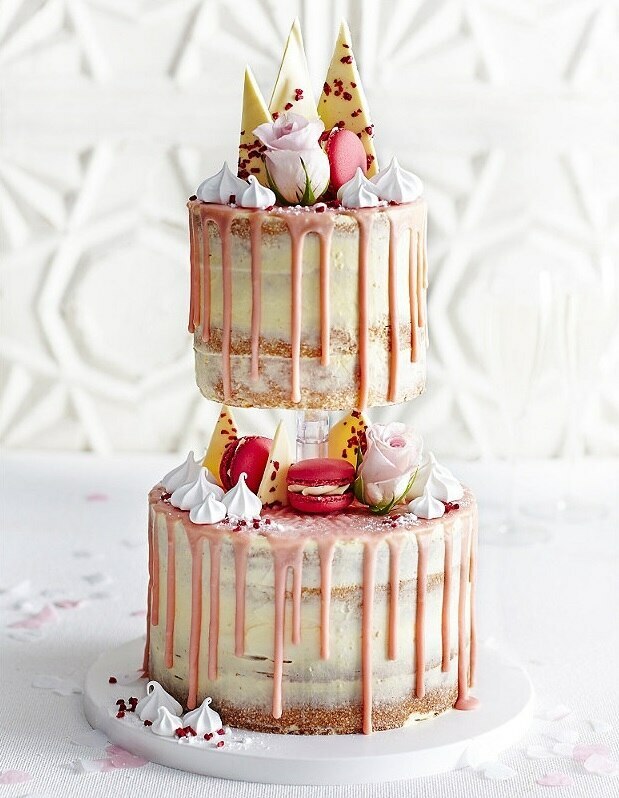 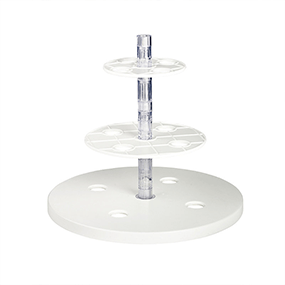 Really simple to assemble, they clip seamlessly together and can be combined to support your cake extension at a variety of heights and angles, depending on your design. 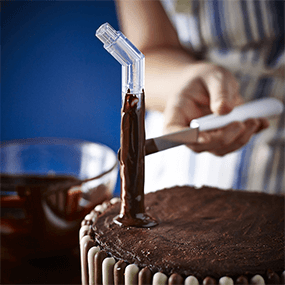 Reusable and dishwasher safe, they let you ring the changes on the pouring theme time after time and the possibilities are endless… the only limit is your imagination. 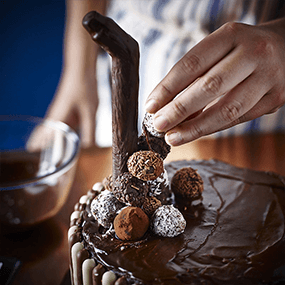 and the final touch is added. 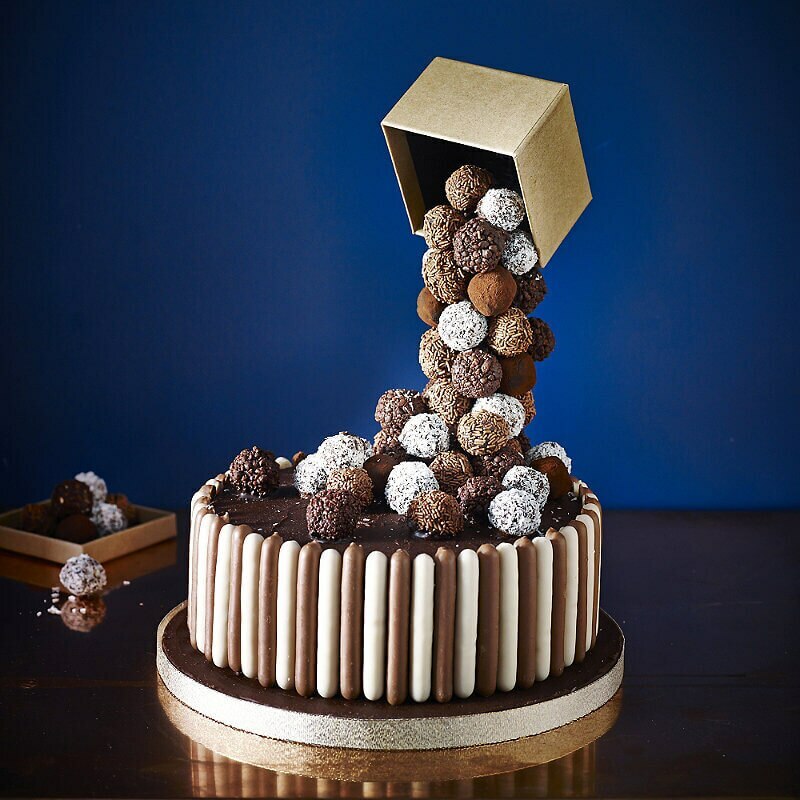 The Lakeland Tiers & Spheres Anti-Gravity Cake Kit lets you make a host of magical multi-tiered, suspended spherical and breathtaking bobblehead cakes. 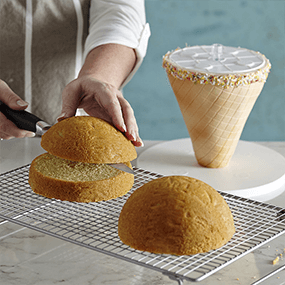 Specially designed to provide invisible support to multi-tiered or spherical baking creations, all the kit’s components are reusable, fit seamlessly together and can be used in any number of ways to give you even greater creative freedom. 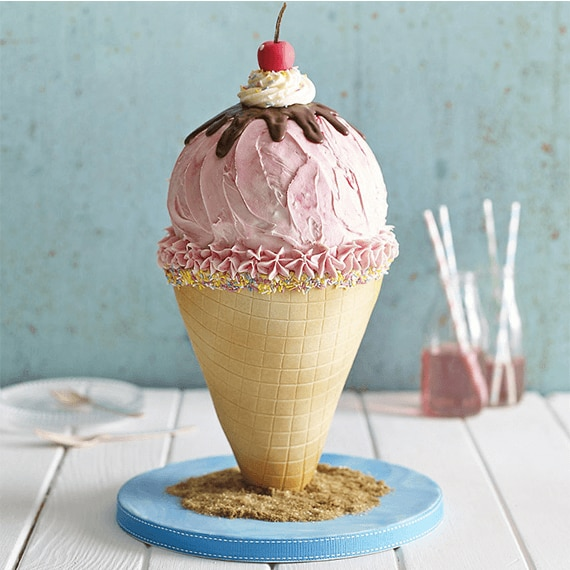 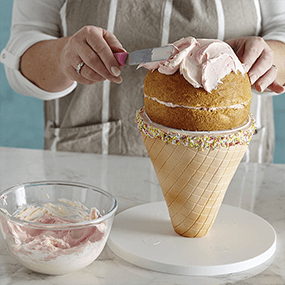 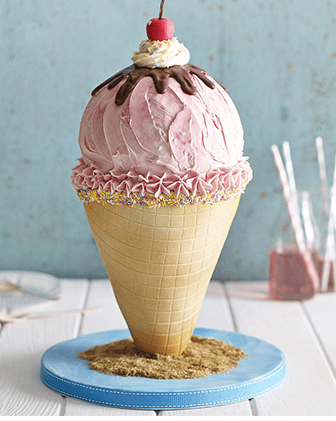 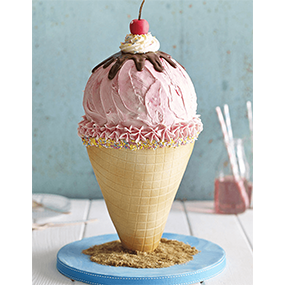 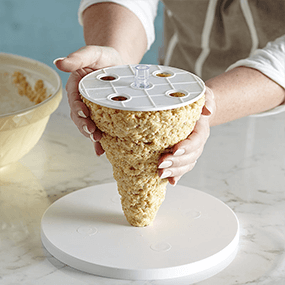 Find out just how achievable it is to make an anti-gravity ice cream cone cake at home.